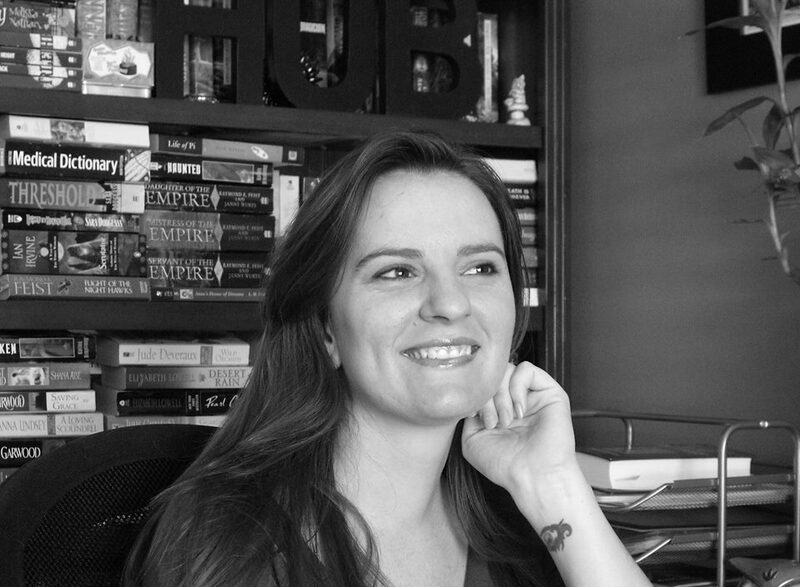 Our guest author for Indie Month today is Anna Hub, Australian author of Beyond the Shadows. Check out the intriguing blurb for the book here and then find out more about the lady herself in our author interview. 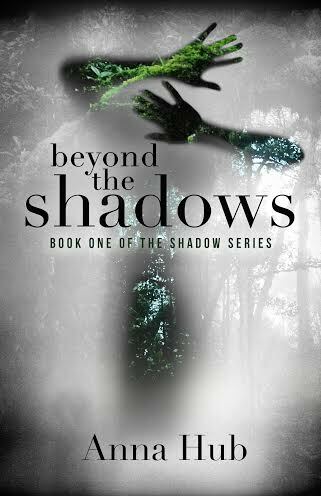 There’s a review of “Beyond the Shadows” coming tomorrow. Which authors have influences you most and how? I have to say Isobelle Carmody. When I was a kid, I struggled to get into books, until my sister gave me Isobelle’s first book – Obernewtyn. I fell in love with it, and from that point on I realised the magic and wonder that could live inside the pages. Obernewtyn pulled me into a world filled with adventure and magic – I guess I never really came back. Is there a song you could list as the theme song to your book? I listened to a lot of Bat for Lashes, in particular the Two Suns album, while I was working on the Shadow Series. It’s gentle enough to work in the background, but it also has a mystical quality. It created the perfect mood. I was invited to a local highschool to give a presentation on writing. I’m definitely not a natural public speaker, and to begin with the thought of it horrified me, but it’s the things that challenge us the most which reward us the most. Standing in front of that class was pretty surreal, one of those moments where you have to ask yourself if this is really happening to you. Absolutely. I used to be embarrassed when people told me they could see me in my characters. Now I’ve realised it’s pretty much impossible to keep yourself out of them. You can only write what you know. My characters are a combination of who I am, what I see, and what I wish I could be. I was absolutely terrified of receiving my first bad review. I was afraid it would make me hate my writing too much to ever go back. To be honest it didn’t hurt as much as I thought it would. Don’t get me wrong, it wasn’t great, but surprisingly it actually inspired me to work harder. It made me realise where my weaknesses were and it gave me something to prove – that I can do better. Now I use bad reviews to motivate me. What the best advice anyone has ever given you? Once you release something you’ve created, it’s already in your past. It’s no longer a true representation of your skills or knowledge. Don’t get caught up in the imperfections, by the time someone criticises it, you’re already better at it. After releasing a four part series I wanted to work on a standalone project. I thought a short one to two year project might be nice! My current WIP is set in a dark world where people are haunted by ghosts of themselves – ghosts of the living. The main character, Daniel, is a hunter trained to destroy these ghosts before they can take over their hosts and spread their curse. It’s a little darker than the Shadow Series, there are definitely some creepy vibes in there, but I’d like to keep it accessible to people who don’t venture too deep into the realm of paranormal. I’m still on the first draft but if everything goes to plan, I’ll be releasing it later this year. Your most unusual or random habit? I’m not sure why, but I can’t eat everything on my plate. It’s ridiculous. If I have a bowl of ravioli, I have to leave at least one piece behind. It’s like that one little bit tips me into the dark abyss of psychological fullness. Weird right? I can pick the perfect avocado, every time, without fail! It’s definitely a superpower. Oh lord, how do I pick? I’m a quote lover. I’m going to go with, “We’re all mad here.” From Alice in Wonderland. It applies quite nicely to most of the writing community hehehe. There was a time when I hated my overactive mind, now it’s my favourite thing about myself! Embrace the madness! This entry was posted in Author Interviews, Interviews, May 2014 - Indie Author Month and tagged Anna Hub, Book of Shadows, IAM, indie author month, interview. Bookmark the permalink. Here’s my interview at Aside From Writing, in celebration of Indie Author Month!